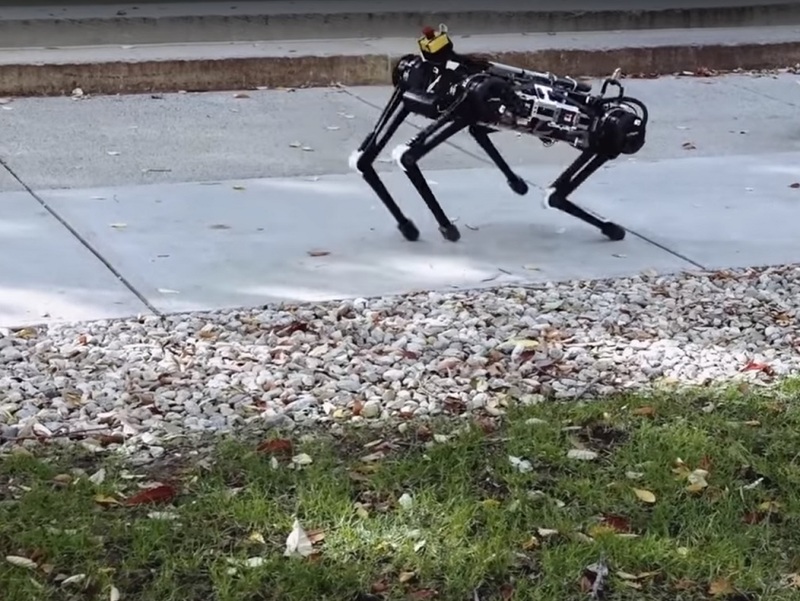 MIT’s Cheetah 3 robot, a 90-pound mechanical beast — about the size of a full-grown Labrador – can now leap and gallop across rough terrain, climb a staircase littered with debris, and quickly recover its balance when suddenly yanked or shoved, all without using cameras or other external sensors, it is essentially blind. It nimbly “feels” its way through its surroundings in a way that engineers describe as “blind locomotion,” much like making one’s way across a pitch-black room. In addition to blind locomotion, the robot has an improved hardware, including an expanded range of motion compared to its predecessor Cheetah 2, that allows the robot to stretch backwards and forwards, and twist from side to side, much like a cat limbering up to pounce, according to mit.edu. Researchers envision that within the next few years, the robot will carry out tasks that would otherwise be too dangerous or inaccessible for humans to take on. This research was supported, in part, by the Air Force Office of Scientific Research.